Who invented Texting? The name of the person credited with inventing SMS Texting is Matti Makkonen (1952 - 2015). Matti Makkonen is not only famous as the Finnish inventor of Texting but also as a specialist in business management and telecoms. When was Texting invented? Matti Makkonen invented Texting, or SMS (short message service), in 1992, during the Technology and Information Age of inventions and began a communications revolution. The invention of Texting originated in Finland but has become a global phenomena and has led to the development of textisms, words or abbreviations frequently used in text messages. Short Message Service (SMS) is the world's most common form of text messaging. 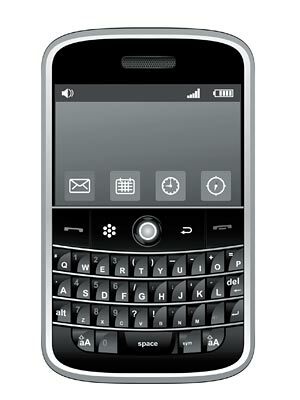 Definition of Texting: An SMS, also known as a text message, is a short text message that you can send to another phone. Texting is defined as a short electronic message sent over a cellular network, via cell phones or other mobile devices, by typing words on the phone's numeric or QWERTY keypad. The text messages are often formatted in an abbreviated form such as GR8 meaning 'Great', BRB meaning 'Be Right Back'. Fact 1: Who invented Texting? The Texting was invented by Matti Makkonen in 1992 during the Technology and Information Age of inventions. Fact 2: Who invented Texting? Prior to the invention of Texting in 1992, the Cell Phone was invented by Martin Cooper in 1973 but it was only capable of sending or receiving calls, not text messages. Fact 3: Who invented Texting? The inventor of Texting, Matti Makkonen, was born on April 16, 1952 in Suomussalmi, Finland died on June 26, 2015. Fact 4: Who invented Texting? Little is known about the personal or professional life of Matti Makkonen. He was a shy, modest man who until his death insisted he was just a pioneer in mobile communications and that the development of texting was due to the input of various other innovators. Fact 5: Who invented Texting? The early years of Matti Makkonen were spent in Suomussalmi, Finland where he was raised by his family. Matti Makkonen was educated at the University of Oulu, one of the largest universities in Finland, where he studied Information Technology and Electrical and Systems Engineering from 1971 to 1976. Fact 6: Who invented Texting? Following his education his first job was in 1976 at Sonera, the former Finnish PTT, in the radio department. His career continued at Telecom Finland/Sonera for 26 years during which time he worked on NMT (Nordic Mobile Telephone), the first fully automatic cellular phone system that was launched in 1981. Fact 7: Who invented Texting? Matti Makkonen also worked at Nokia for nearly three years as the Head of Professional Services, a global team that was responsible for Nokia Network customers. Matti Makkonen spent a further three years heading the Finnet Group is a collection of 23 independent regional telephone companies and the Finnet Federation, which operates in the telecommunications sector. Fact 8: Who invented Texting? In 2010 Matti Makkonen was appointed CEO at Anvia PLC (Finland) a company that offered IT services, Security and TV broadcasting solutions. Matti Makkonen retired from his position of CEO from Anvia PLC in December 2013 but continued his association with the company as a Director and in a consultancy capacity. Fact 9: Who invented Texting? Matti Makkonen died on June 26, 2015 but will be remembered as one of the pioneers of SMS Texting systems. Fact 10: Who invented Texting? Matti Makkonen never patented his idea and never claimed to be the inventor of texting (SMS). He always insisted that the invention "was due to a joint effort between many people". Fact 11: Who invented Texting? In 1985 Friedhelm Hillebrand, a German telecommunications engineer, and Bernard Ghillebaert, a French engineer, focused their work on Short Message Transmission SMS). Friedhelm Hillebrand concluded that most messages could be reduced to under 160 characters, including spaces which led to the collaboration of Ghillebaert and Hillebrand to develop the 160 character protocol. Fact 12: Who invented Texting? Friedhelm Hillebrand and Bernard Ghillebaert proposed SMS texting to the telecommunications standards body, Global System for Mobile Communications (GSM) who drafted technical specifications for SMS by 1987. The work and contributions of Finn Trosby and Kevin Holley are also notable names connected with the standardization of the GSM systems. Fact 13: Who invented Texting? The efforts of Neil Papworth, a communications engineer, is another of the names that is often linked with the invention of Texting. Neil Papworth was the man who sent the very first text message from his Personal Computer on December 3, 1992. The Smartphone had only just been invented so most Cell Phones did not have keyboards. Fact 14: Who invented Texting? Neil Papworth's first text message saying "Merry Christmas" was sent to Richard Jarvis, a friend at UK Vodafone who received the text on his an Orbitel 901 handset, one of the first ever GSM mobile phones. Richard Jarvis couldn't reply to the text because his Orbitel 901 phone had no way of inputting text. Fact 15: Who invented Texting? One year later, in 1993, Nokia debuted the first cell phone that was able to send text messages between two people on the same network - cell phone networks did not allow users to SMS people subscribed to rival companies until 1999. Fact 17: Who invented Texting? Texting took off in 1999 when cell phone networks allowed their users to send text messages between networks. The inexpensive, quick-fire technology appealed to the younger generation and in the United States 35 texts were being sent per person, per month. By 2002 the practise of texting exploded and more than 250 billion SMS text messages were sent worldwide. Fact 18: Who invented Texting? Twitter, the social networking micro-blogging website, was co-founded in 2006 by Jack Dorsey, together with Noah Glass, Biz Stone and Evan Williams. Fact 19: Who invented Texting? Twitter enabled users to post instant short messages of 140 characters or less. The Twitter social network centered around text messaging and by 2016 over 500 million 'tweets' were sent every day. Fact 20: Who invented Texting? In 2007 the number of US monthly text messages exceeded the number of monthly phone calls made in America. Fact 21: Who invented Texting? Other alternatives such as BBM, iMessage, WhatsApp have emerged but SMS texting messages continue to prove popular with users. In 2016 a mind boggling 8.3 trillion SMS texting messages were sent at the rate of almost 23 billion messages per day. Who Invented Texting - Matti Makkonen - Inventor - Invention - Definition - Meaning - Famous - Important - Texting History - Texting Timeline - Innovation - Significant - Development - Communications and Information - First - Definition - Kids - Texting Facts - Information - Info - Who invented Texting - Dates - When - Why - Impact - Purpose - Use - New - Old - Amazing - Best - Definition - Meaning - Awesome - Cool - Texting - Finnish - Texting History - Timeline - Who Invented Texting?